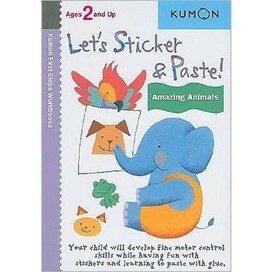 Stickers and paste aren't just for fun they're the building blocks for your child's motor control skills. In this book, children place stickers of fascinating animals onto colorful nature backgrounds to make lively wildlife scenes. Children will develop fine motor control and spatial reasoning skills by completing these fun animal art projects.